Dr. Michael Puiuegur is a member of the American (ADA), Louisiana (LDA) and Acadiana (ADDA) Dental Associations. Dr. Mike has been in practice since 1980, right here in Lafayette, Louisiana. 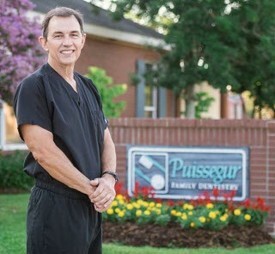 Dr. Mike's dedication to his profession means that you have access to the most advanced care and innovative treatment options and procedures that are available in dentistry today.